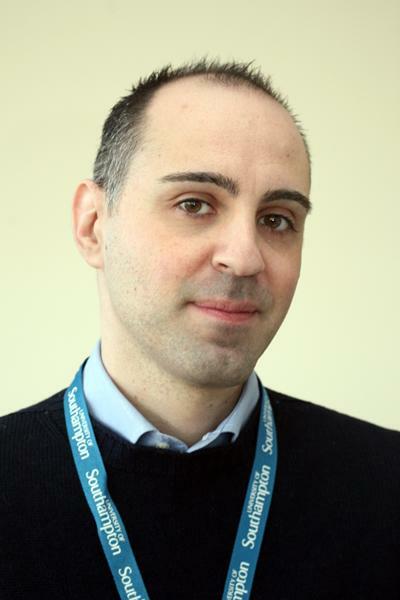 Alessandro is a Senior Research Fellow at the Department of Geography and Environmental Science of the University of Southampton, where he leads the WorldPop GIS team and coordinates the WorldPop Global project. Alessandro graduated in Geological Sciences at the University of Camerino (Italy) in October 2001. From April 2004 to September 2007 he was a Research Scholar at the CUNY Queens College, where he used spatial analysis techniques to model the tectonic evolution of transform faults. From May 2006 to September 2007, he also was a Research Assistant at the Center for International Earth Science Information Network (CIESIN) of Columbia University, where he was involved in the Global Rural Urban Mapping Project (GRUMP) and contributed to develop a new approach to identify urban area extents, classify intra-urban typologies, and detect urban changes using DSM-QuikSCAT/SeaWinds data. In February 2011, he obtained a PhD in Earth Sciences from the University of Milan, focused on advancing the use of spatial statistical methods to assess groundwater vulnerability. From April 2012 to December 2013 he was a Grantholder at the Institute for Environment and Sustainability of the European Commission’s Joint Research Centre, where he was involved in the GEOWOW Project and acted as Associate Editor of the International Journal of Spatial Data Infrastructure (IJSDIR). He is currently a Senior Research Fellow at the Department of Geography and Environment in the framework of the WorldPop Project. He leads the WorldPop GIS team and coordinates the Global High Resolution Population Denominators Project, which main aim is to produce multi-temporal (2000-2020) population distribution datasets, disaggregated by disaggregated by gender and 5-year age groups, for 249 countries, territories, and dependencies. He also teaches in the Core Skills in GIS module and is involved in a number of other projects mostly focusing on (i) demographic mapping, (ii) estimating human migration and mobility, (iii) supporting the current malaria eradication effort, and (iv) assessing urbanization and its effects on multiple environmental matrices. He is a member of the Flowminder Foundation Operational Committee and an Editorial Board Member of the Italian Journal of Groundwater. In May 2017, Alessandro received the 2016 IPUMS International Research Award from the Minnesota Population Center of the University of Minnesota. In November 2016, Alessandro et al.’s article Mapping internal connectivity through human migration in malaria endemic countries was covered on the front page of European Hospital @Medica. In May 2017, the same article won the 2016 IPUMS International Research Award in the category Published Research. The award honours the best published research that use IPUMS International data to advance/deepen the understanding of social/demographic processes. Alessandro is currently involved in the Settlements, Infrastructure, and Population (SIP) Data Intercomparison Project which purpose is to create a collaborative SIP data community, fully document assumptions and methodologies underlying existing and planned SIP products to improve understanding of their strengths and weaknesses, better identify stakeholder requirements and priorities, and coordinate efforts to provide reliable datasets and services to meet end-user needs. Additionally, Alessandro is also contributing to the GEO Human Planet Initiative, which main aims are to produce improved EO-derived and physically-based human settlements datasets, favorite their integration with census data to improve population/demographic datasets, and test the use of the latter to monitor of the implementation of multiple post-2015 frameworks (including the New Urban Agenda, SDGs, Paris Agreement, Sendai Framework). 2016 - Ongoing: Malaria Elimination feasibility; funded by the Bill and Melinda Gates Foundation. 2016 - Ongoing: Global High Resolution Population Denominators; funded by the Bill and Melinda Gates Foundation. 2016 - Ongoing: Combining Traditional and Emerging Big Data Sources to Model Population Movement Patterns; funded by the Austrian Science Fund. 2015 - Ongoing: Modelling and forecasting African Urban Population Patterns for vulnerability and health assessments (MAUPP); funded by the Belgian Federal Science Policy Office (BELSPO). 2014 - Ongoing: High resolution demographic and mobility mapping; funded by the Bill and Melinda Gates Foundation. 2014 - 2016: The development of spatial databases of synthetic populations in malaria endemic regions; funded by the Bill and Melinda Gates Foundation. 2013 - 2016: Mega urban changes and impacts in the decade of the 2000s; funded by the National Aeronautics and Space Administration (NASA) Land-Cover/Land-Use Change (LCLUC) Program. Sorichetta A., Masetti M., Ballabio C., and Sterlacchini S., 2012. Aquifer nitrate vulnerability assessment using positive and negative Weights of Evidence methods, Milan, Italy. Computer & Geosciences, 48, 199-210, doi: 10.1016/j.cageo.2012.05.021. Vaitla, B., Bosco, C., Alegana, V., Bird, T., Pezzulo, C., Hornby, G., ... Eekhout, W. (2017). Big data and the well-being of women and girls: applications on the social scientific frontier . Data2x. Pezzulo, C., Bird, T., Utazi, E. C., Sorichetta, A., Tatem, A. J., Yourkavitch, J., & Burgert-Brucker, C. R. (2016). Geospatial modeling of child mortality across 27 countries in Sub-Saharan Africa. (DHS Spatial Analysis Reports; No. 13). Rockville, US: ICF International. Alessandro is teaching Projections and Geographic Reference Systems in the Core Skills in GIS (GEOG6061) module. Nov 2012 - Feb 2016: Dr Stefania Stevenazzi; Department of Earth Sciences, University of Milan (PhD Thesis: Time-dependent methods to evaluate the effects of urban sprawl on groundwater quality).